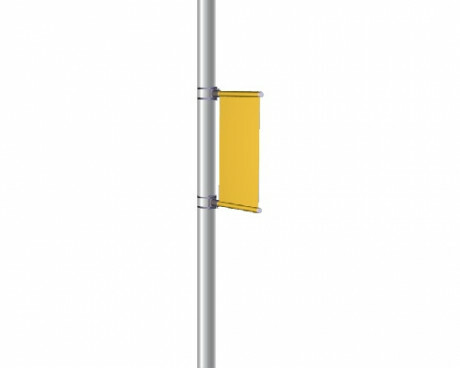 Solar Flag Pole Lighting : Solar is the way to go when it's time to light your flag! The installation is easy with no wiring to be done and no electricity bills to pay. 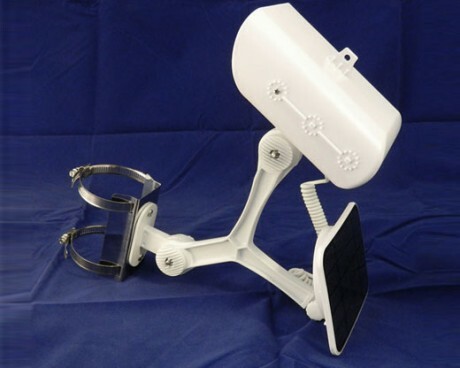 Solar flagpole lights come in two general styles; above lighting, which mounts to the truck or flagpole topper , and shines down onto your flag, or below flag lights that mount to the shaft of the flagpole and shine up at the flag. Both solar flag pole options look great and do the job. 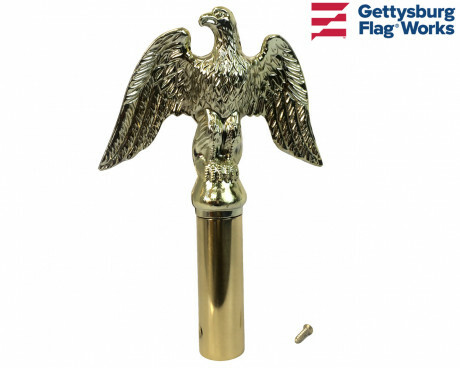 Gettysburg Flag Works carries brackets for mounting a pole on your roof or dock. 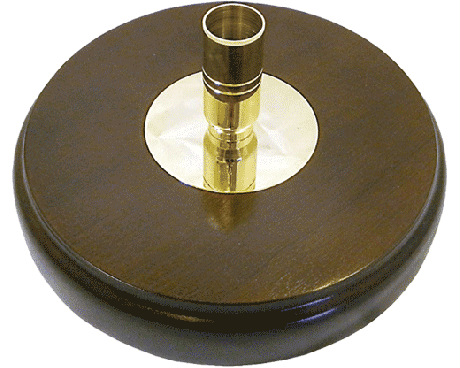 All you need is the diameter of your pole and we've got the bracket to help you display it. 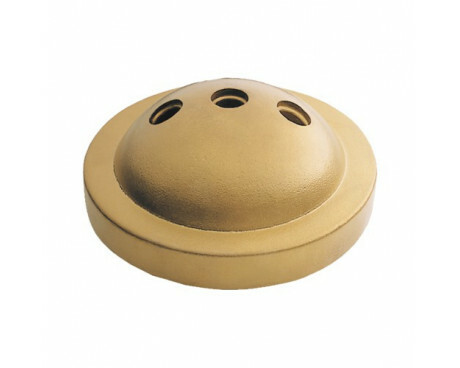 You'll also find brackets and sockets that go into the ground for short-term and smaller flagpoles. Halyard : It's time to make sure that your halyard and hardware is in good condition for the season ahead. 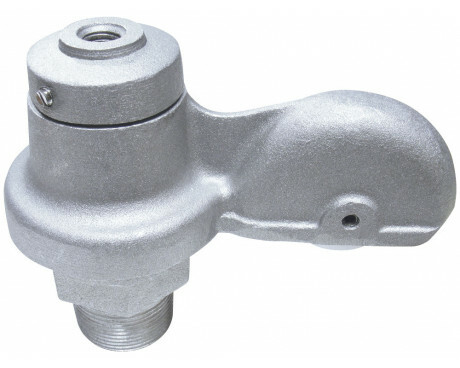 Hardware failure can often require a costly lift or bucket truck to repair but replacing the halyard or a worn out cleat will be a fraction of the cost! 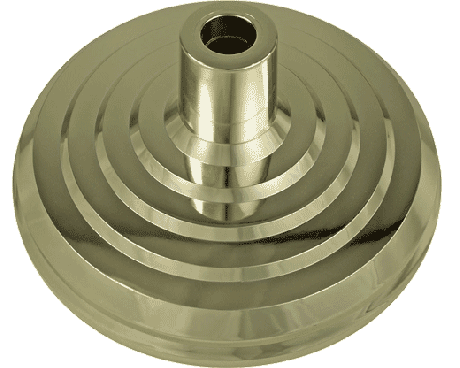 Flag pole tops, like trucks and caps, come in a variety of sizes and colors to fit your flag poles. 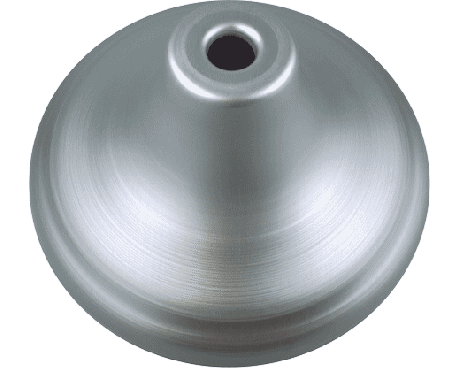 The flagpole topper like an eagle or ball screws into the flagpole topper to finish the display. 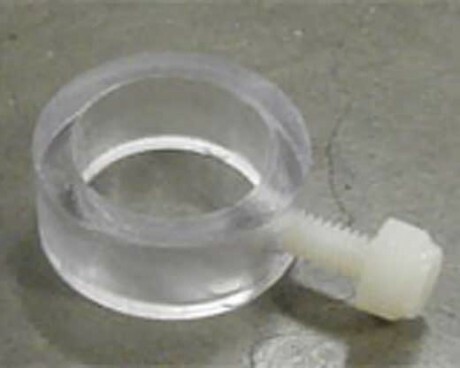 Clips, Snaps, Cleats: Snaps and clips are available in metal or plastic, and attaches your flag to the halyard of an outdoor flagpole. 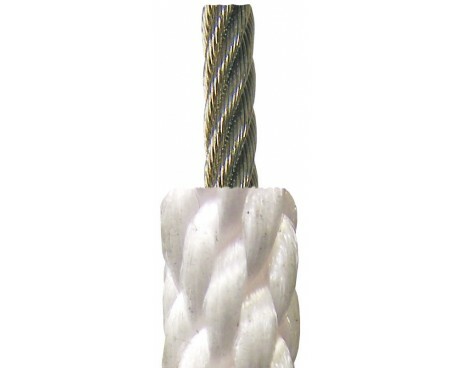 Cleats are for tying off the halyard at the bottom of the flagpole. 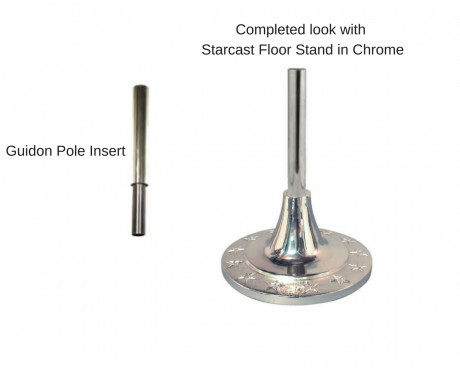 Hardware for indoor flags : Flagpole floor stands for indoor flag sets are available in a huge variety of shapes, colors and sizes to suite every pole and every office decor. 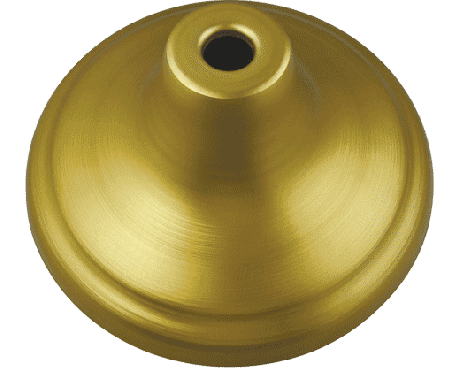 Pointed bottom ferrule is for stabbing the pole into soft ground and replacement flagpole joints. 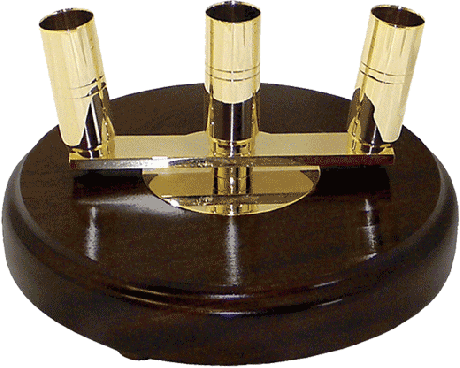 Award ribbon rings are available in gold and silver, which mount under flag pole tops to carry your military award ribbons. Did you know that we can make your award ribbons too? Flag Spreaders: You've got a beautiful flag in your office or entrance but it isn't displayed to it's fullest beauty until you add the flag spreader! 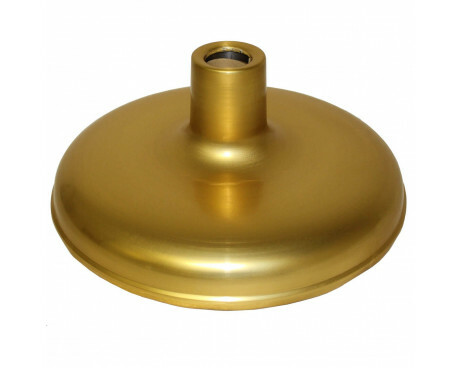 Indoor flag pole toppers come in gold, brass, chrome and other finishes and many styles. 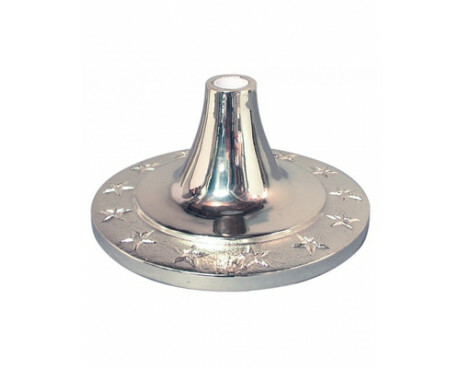 Order your flag pole topper ornament from this list: Botonee cross, Catholic cross, church cross, Star of David, star, Army spear, staff spear, battle axe, round or square spear, maltese cross, maple leaf, parade ball, flying eagle or perched eagle. 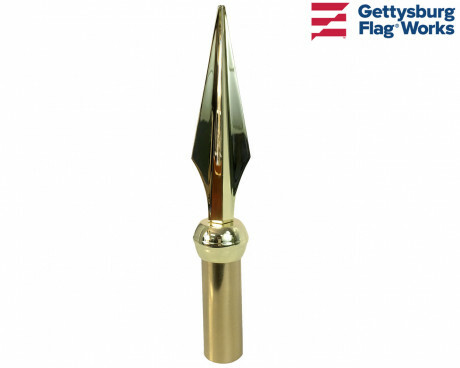 Your flag pole topper can be as unique as your flag! Color Guard Accessories: Carry harnesses, flag man's knot, pole hardware and white gloves. Residential Flag Brackets : We carry only the best and strongest brackets on the market. Our residential flagpole brackets are made of stamped aluminum and then powder coated for color. They will never rust! Available in white, gray and bronze. Outrigger Flag Poles: The solution to city flag display. 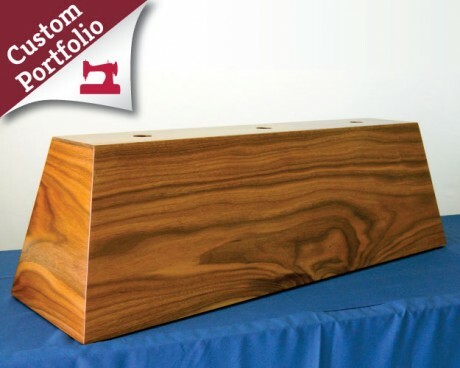 Complete sets and single parts available to mount to your building. Think about getting one for your American flag and one for a beautiful custom flag! 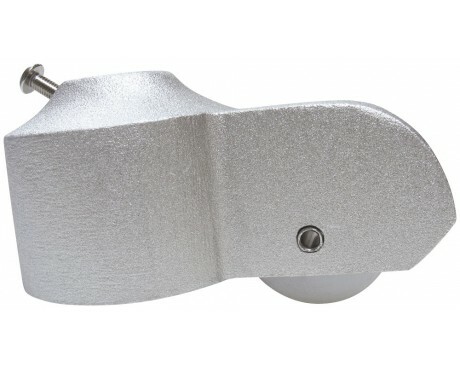 Mount to a flat wall or use a corner bracket. Shopping for a Flag Pole Topper? Flag pole tops are the icing on the cake. 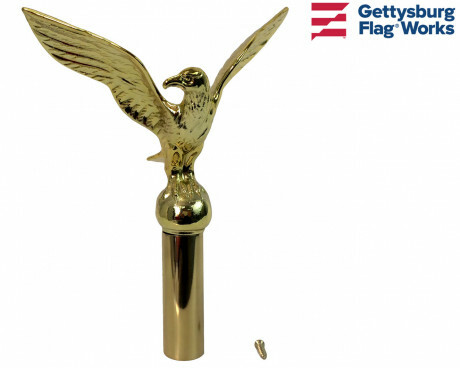 The eagle or ball flag pole topper is the final touch to create the flagpole display you've been looking for. 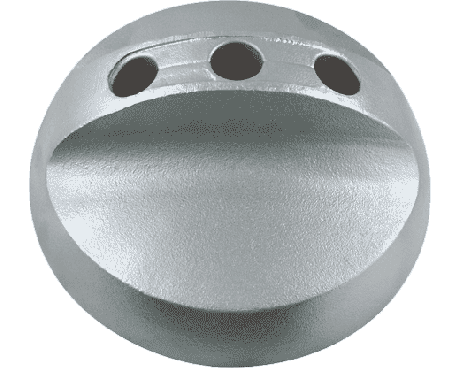 Eagles and balls come in a variety of sizes and finishes including gold, silver, bronze, black, white and satin aluminum finish. We even offer a stunning golf leaf copper ball flag pole topper! 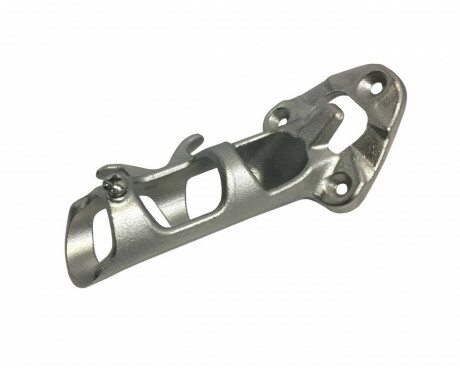 We carry flagpole brackets for many purposes. 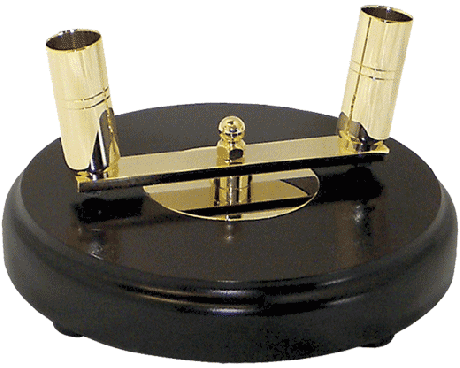 A residential flag bracket is used to hold your flagpole at an angle off the porch. 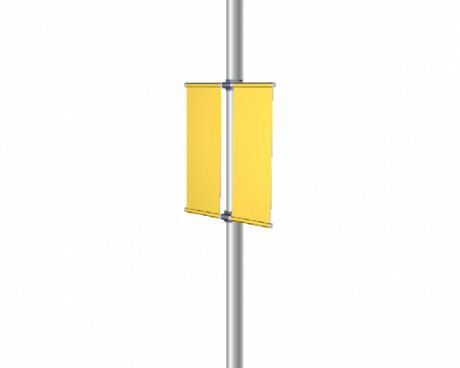 Avenue banners use a type of flag bracket to mount to a utility pole, and even the big outrigger poles hanging in front of businesses on a city street use a flag bracket called an outrigger bracket. Have questions about any of our brackets or hardware for flags, or any other accessories? Contact us online or call us at 1-888-697-3524 today!